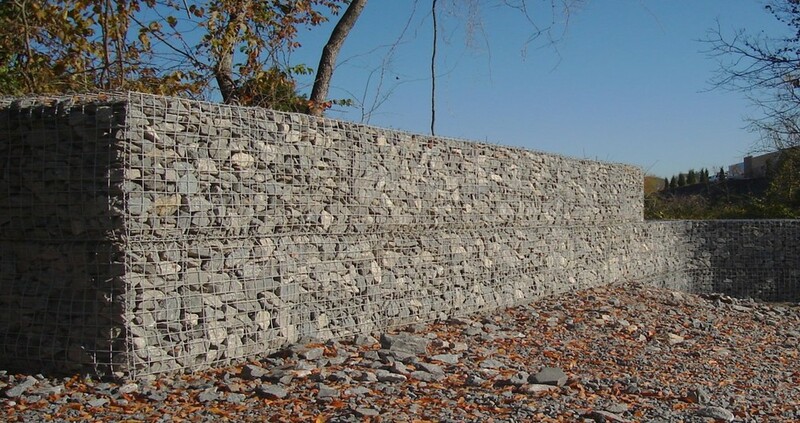 Gabion Retaining Walls can be built along stream banks and channels. Gabion Retaining Walls are flexible and settlement tolerant while providing a competent structural earth retention system. Gabion structures are designed to deform, which makes them preferable to a concrete wall which would crack and collapse. 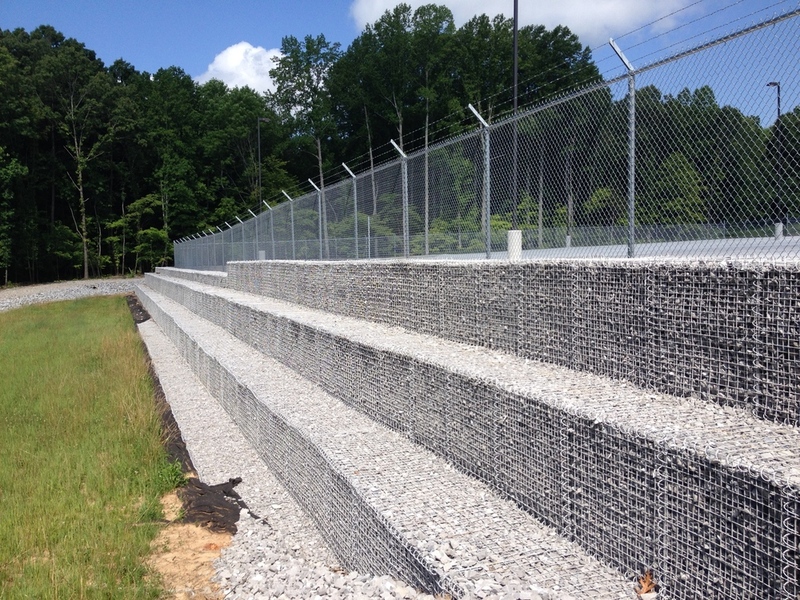 In addition to the distinct structural advantages over concrete and other non-porous gravity wall structures, the potential to vegetate a standard gabion basket or wire faced wall offers unique landscaping potential as well.